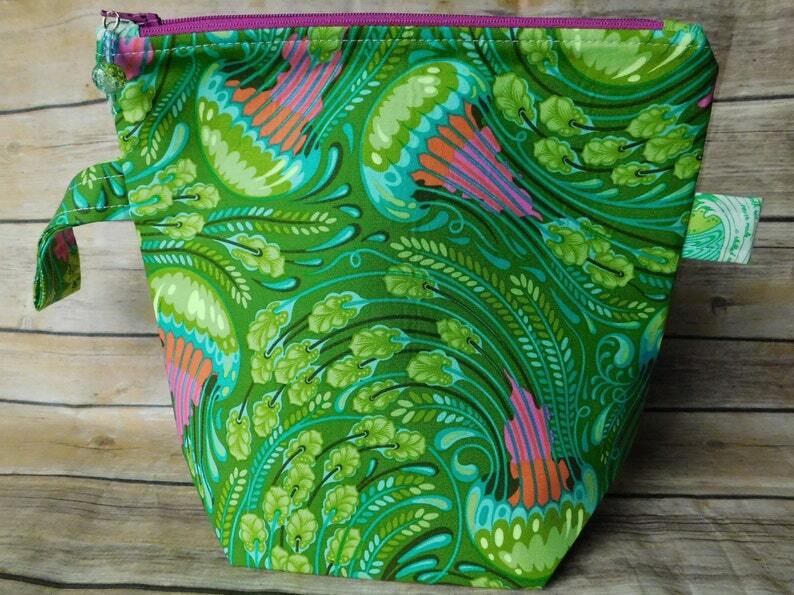 This Small Handled Wedge Bag is great for many different items, and sewn for durability. Use this bag for organizing, carrying projects or travel. It is made with quality quilting cotton, backed with heavy weight interfacing, and lined with a coordinating cotton for added stability and fashion. Inside corners are finished with a serged seam. The handle makes it easy to carry and hang. 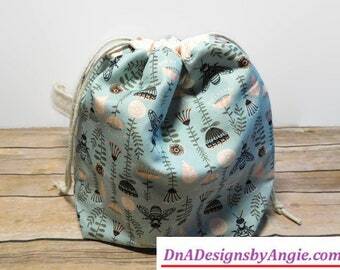 Features a zippered top to keep items contained and secure and hand beaded zipper pull for extra pizzazz.